As many of you know, I’m a big collector of African paperbacks (and ones about Africa), and I’ve been slowing featuring different presses here on the blog. 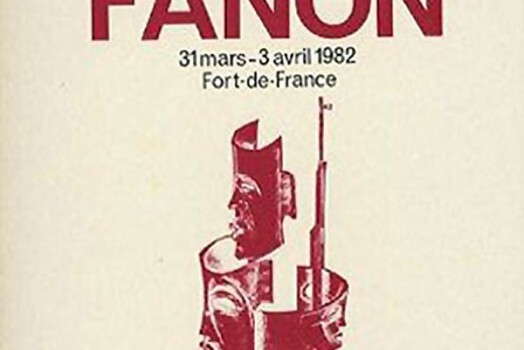 Past features include: Three Crowns Africa, Ghana Publishing House, Cambridge Africa, books by Amilcar Cabral, Fontana Africa, and the Penguin African Library, and more! 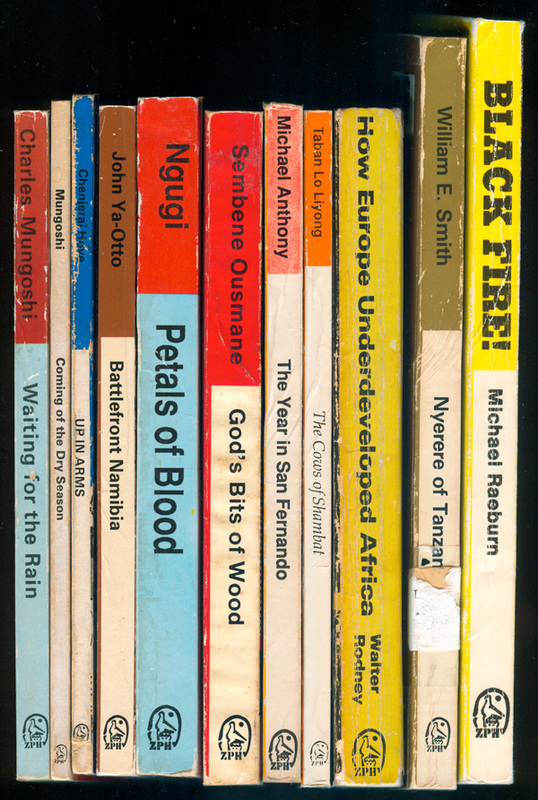 Anyway, anyone that has read some of these knows that it’s been difficult to track down info about any of the African publishing houses, as most went under in the 1980s or 90s, and have zero presence on the internet or through basic library research. I recently picked up a book by called Africa Writes Back by James Curry, one of the founders of Heinemann’s African Writers Series, the foundational published collection of African writing, particularly fiction. Although not exactly a swift and exciting read, it is chock full of information, which has really helped pull together some contextual knowledge about my collection. 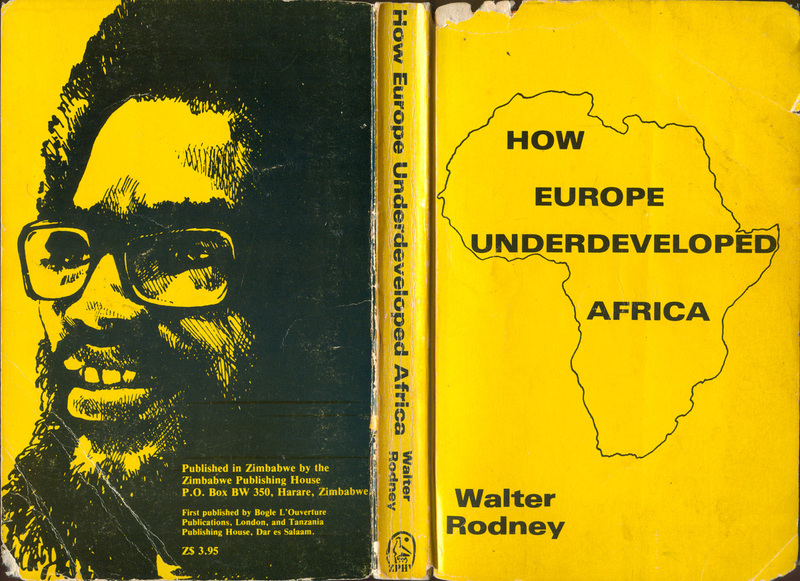 All to say, keep an eye out over the next year for me to finally start putting up some posts about some of these great, sadly almost forgotten African publishers. This week I’m going to focus on Zimbabwe Publishing House (ZPH), one of the major post-independence presses in Zimbabwe. I first discovered ZPH about a decade ago in Victoria, Canada of all places. I stopped in at Dark Horse Books, and found a copy of Black Fire, above. 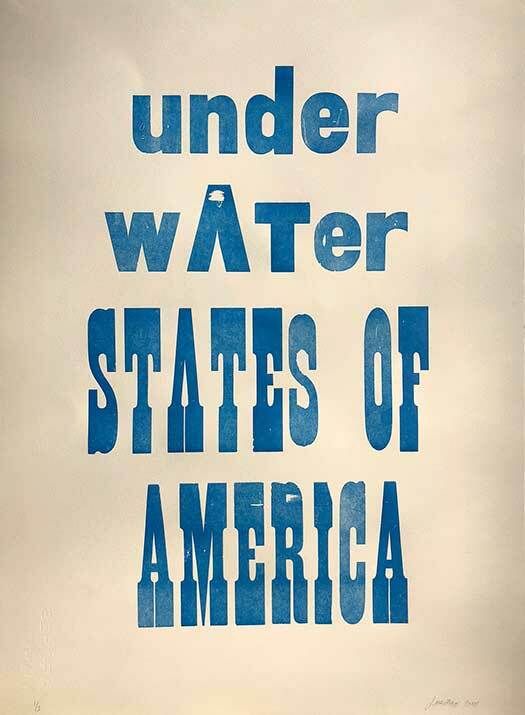 It has all the elements I love in this genre: duotone or limited colors, raw print quality, manually manipulated photography, and bold type treatments. ZPH was founded in 1981 by two journalists, David Martin and Phyllis Johnson. 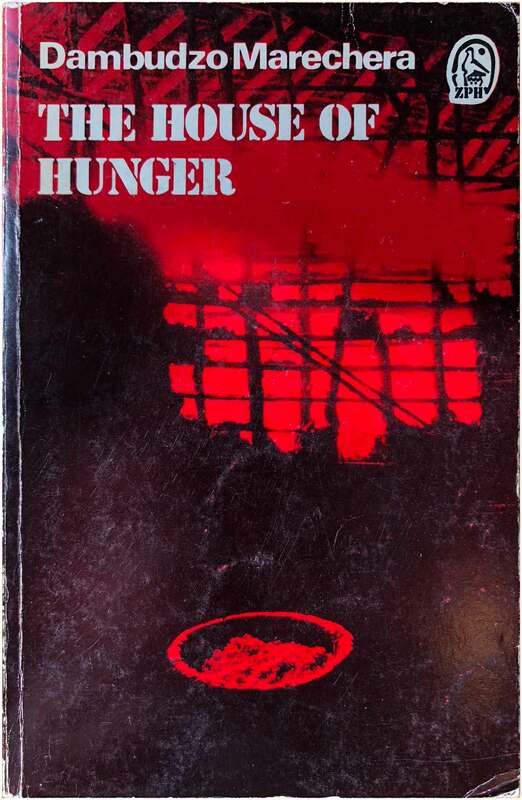 There first book was The Struggle for Zimbabwe (written by them), which they first published in Zimbabwe, and then was picked up by Faber in the UK, Monthly Review in the US, and Raven Books in South Africa. (I’ve never actually seen this book, although copies are available online for cheap, although none are the ZPH edition). This became a pattern for ZPH, licensing their books to other presses, and picked up titles from the rest of Africa to print in Zimbabwe, particularly for the educational market. Martin and Johnson have been accused of being too sympathetic to Mugabe and ZANU, which is likely true, but no one can question their commitment to African liberation, and liberation in Southern Africa in particular. That is where they focused much of their book output. 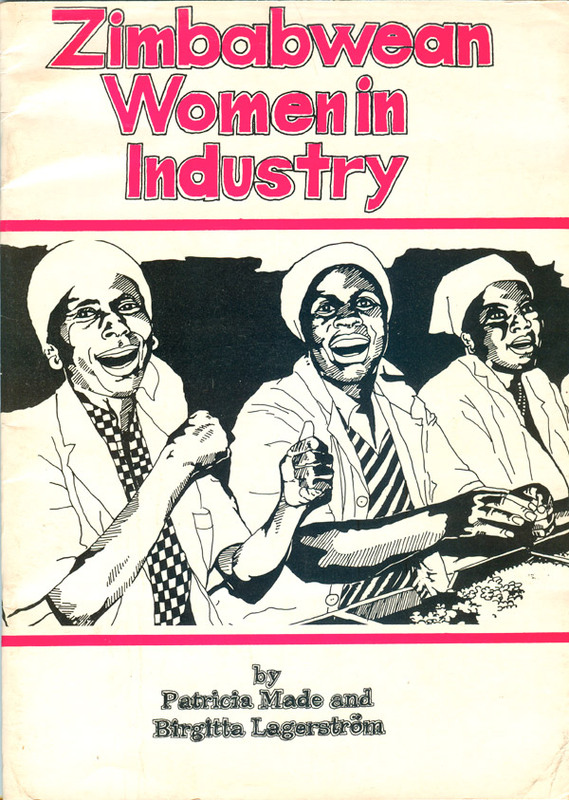 Below are two typical ZPH non-fiction titles, a biography of Julius Nyerere and a technical study of Zimbabwean Women in Industry. These two books illustrate on the one hand the diversity of cover design, on the other hand how no matter the style, almost all of it feels rough and unpolished. 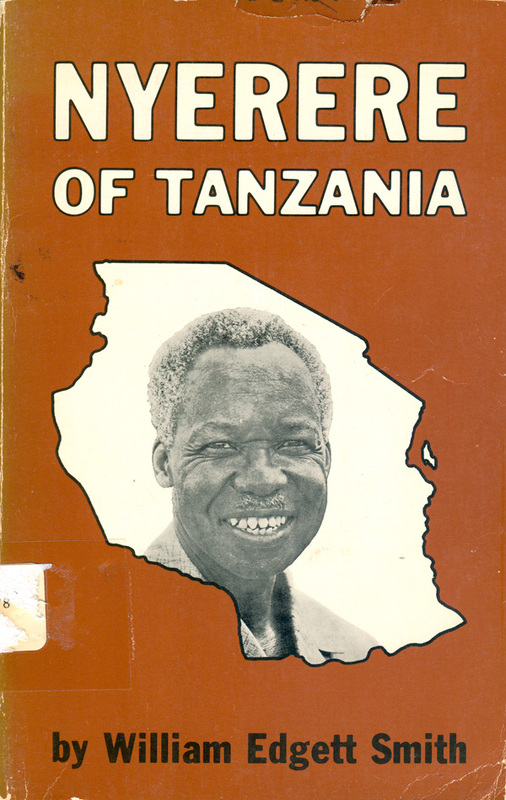 The Nyerere cover is simple and nice, but the outlining of the type and Tanzania are unnecessary, and give it a naive feel. The Made and Lagerström cover is remarkable because the entire thing is hand drawn, but feels as if each element was traced from a font or photograph. ZPH put out a fair amount of expensive, oversized books about Southern Africa. None But Ourselves is a great, extensive survey of the roll the media plays in the maintenance of the status quo, and the need for people in revolt to control it themselves. 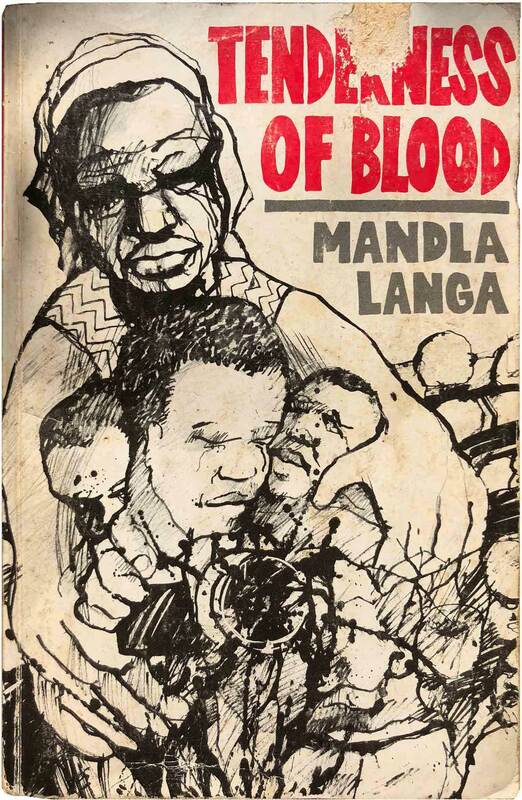 The edition I have was put out by ZPH, but I have seen other versions produced by Raven Press in South Africa, Penguin in the UK, and Heinemann in the rest of Africa. Images of a Revolution is its own beast, an amazing collection of murals from Mozambique. I actually love this book so much I’m going to feature it next week, so I’ve just included the cover this week, below. 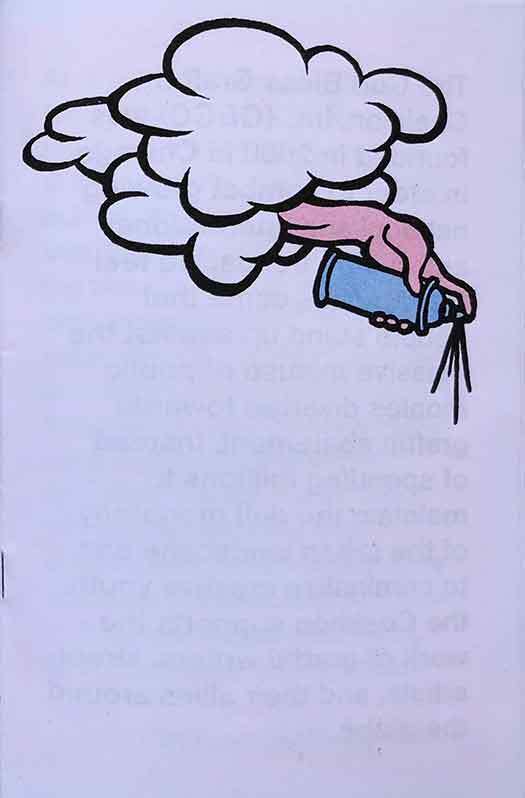 The other important aspect of ZPH’s publishing is its fiction output. From 1981 through the mid-90s, they put out the ZPH Writers Series, a collection of novels, poetry, and a couple history books, all in the fashion of Heinemann’s African Writers Series (AWS). In fact, many of the books are local re-printings of previously published AWS titles, often with completely new and original covers. In addition, the ZPH series allowed for a focus on local Zimbabwean writers in a way that the AWS didn’t have the capacity to do. ZPH hired Charles Mungoshi, a Zimbabwean author previously published in the AWS, to edit the series. Under Mungushi, the series published a solid output of Zimbabwean titles, or other authors from Southern Africa—in fact almost all of the first twenty are from Southern Africa. 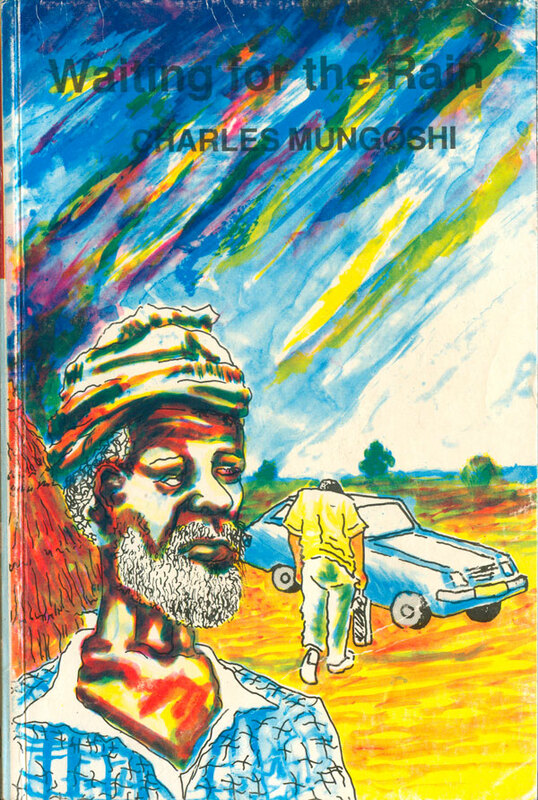 The first two books are by Mungoshi himself: Waiting for the Rain, a reprint of his book from AWS (#170) and Coming of a Dry Season, originally published by Oxford. The cover of the first edition of Waiting for the Rain was a near exact reproduction of the cover from the AWS version, except the background has been converted from orange to red. 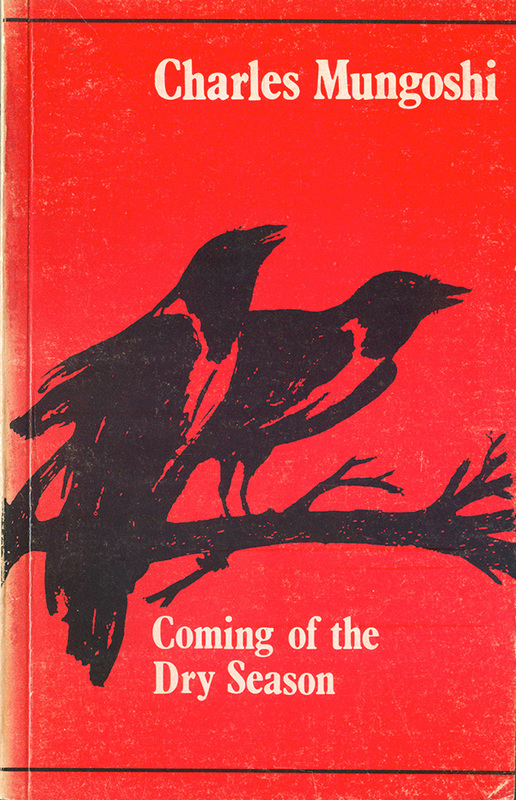 At some point later a new edition was produced, with a new cover. This one is an amazing technicolor mess. Coming of a Dry Season is much more subdued, the black crows on a field of red a nice harbinger of the title. The third book in the series is the first original title, and an early book of poetry by Chenjerai Hove, another one of Zimbabwe’s most respected and championed authors. Up In Arms is a collection of “people’s poetry” documenting the brutal repression of life in Rhodesia, the struggle for liberation, and a tentative assessment afterwards. 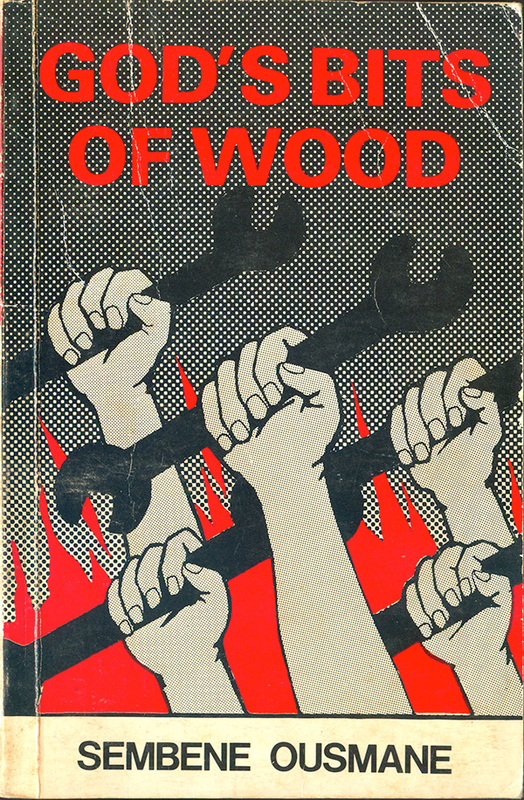 The cover is much more militant than the book itself, dominated by the towering pencil drawing of a noble guerrilla. The masses below are quite funny—on a second look you’ll notice it’s really only three different heads, re-used and replaced on ten different bodies! 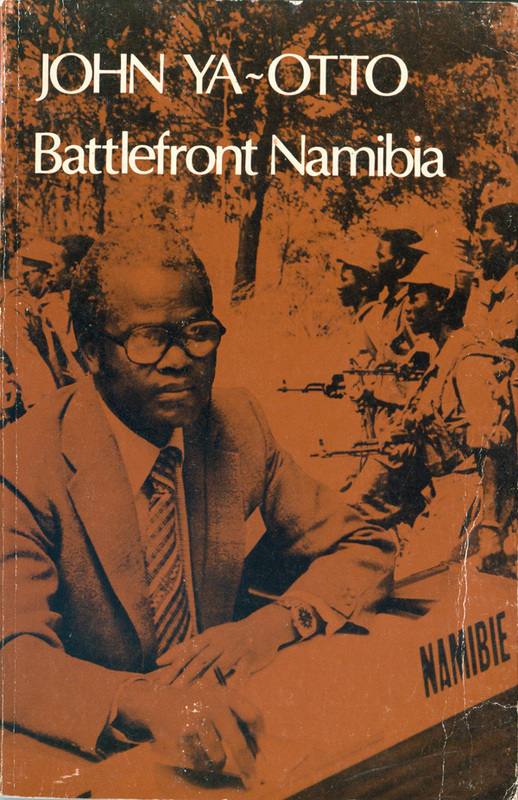 The fifth book in the series is SWAPO official John Ya-Otto’s autobiography, Battlefront Namibia. This book was co-published with Heinemann, and appeared in the AWS series at the same time (as AWS #244). Like Waiting for the Rain above, the cover is a direct reproduction of the AWS design, only the color has changed. While fiction in the AWS series was connoted by orange, here it is by red—similarly, while non-fiction is blue in AWS, in is brown in the ZPH series. 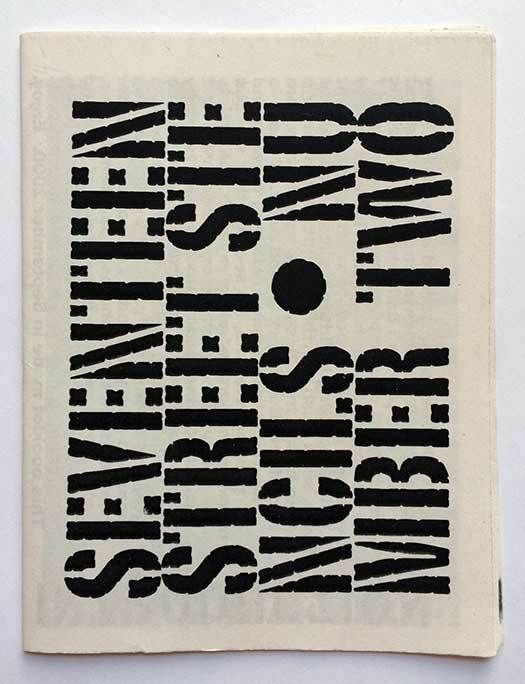 The cover itself is a duotone photographic collage, with simple type laid on top— overall it’s a strong design, and speaks to doing the best you can with limited resources. 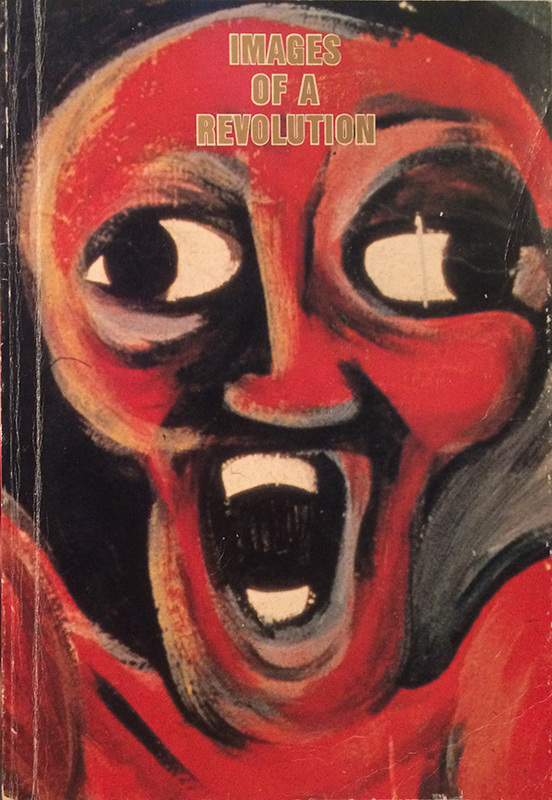 As mentioned above, the ZPH Writers Series (ZWS) did local reprints of popular novels and poetry from the rest of Africa, in particular by Ngugi and Ousmane. 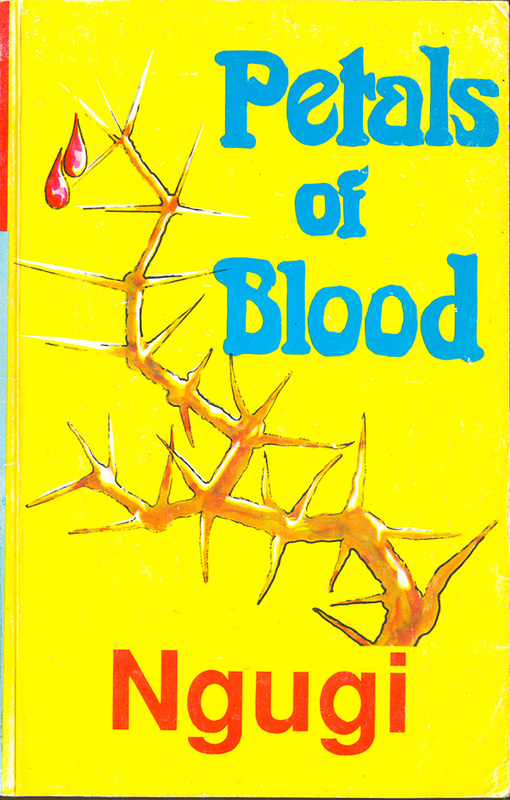 Both of the below books, Petals of Blood and God’s Bits of Wood, were big sellers for the AWS series, which licensed the rights to publishers like ZPH for these editions destined for local educational markets (another similar arrangement was made with East African Publishing House in Nairobi). I love the covers to these editions because they are so much more strange than the original AWS ones. The Ngugi cover is bright yellow (always a hard sell on the design front) with a roughly drawn, thorny branch and a couple drops of blood. The title handdrawn, Ngugi’s name is straight Arial font. Strange, strange, strange, with no association with the cover used for the AWS edition (or any other version I’ve ever seen. 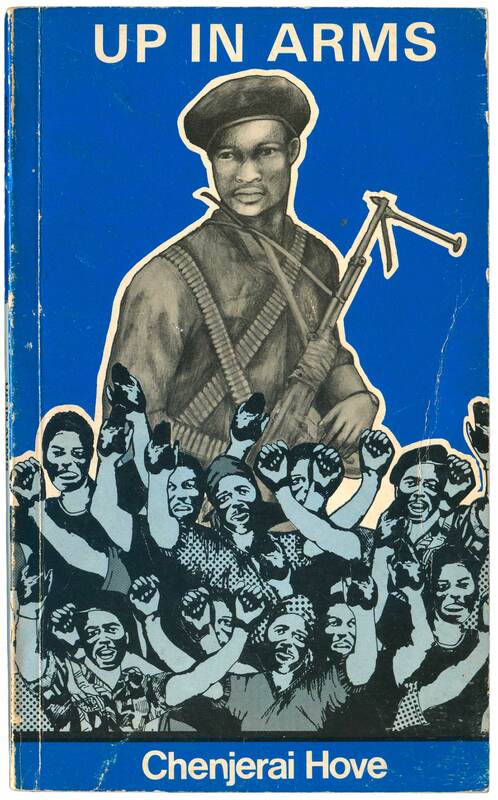 The Ousmane cover is interesting as well, with the hand clutching a wrench drawn directly from a photograph of the same on the cover of the second AWS edition. 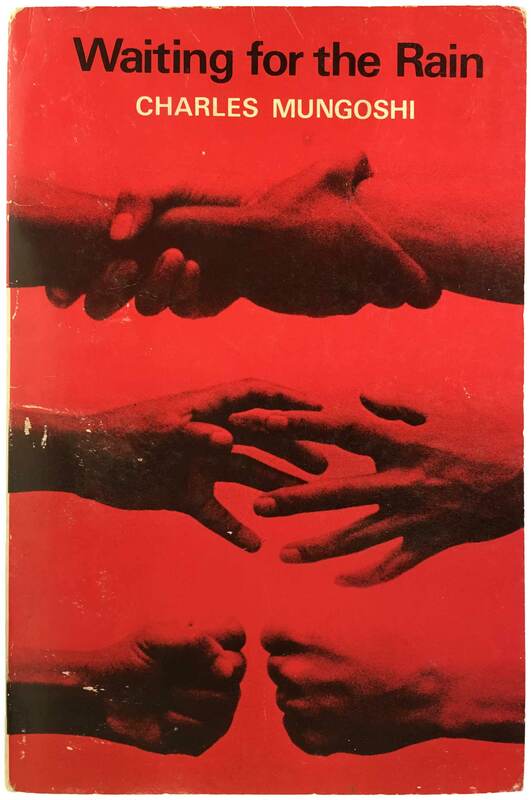 But the hand is repeated multiple times to become a crowd of workers in revolt, rather than one, which actually is a much better representation of the labor strike at the center of the novel. In addition, the photo of the fist/wrench in the original is sweating, and there is blurry imagery of fire in the background. Because the ZPH cover is a flat drawing, the fire becomes cut out red shapes. 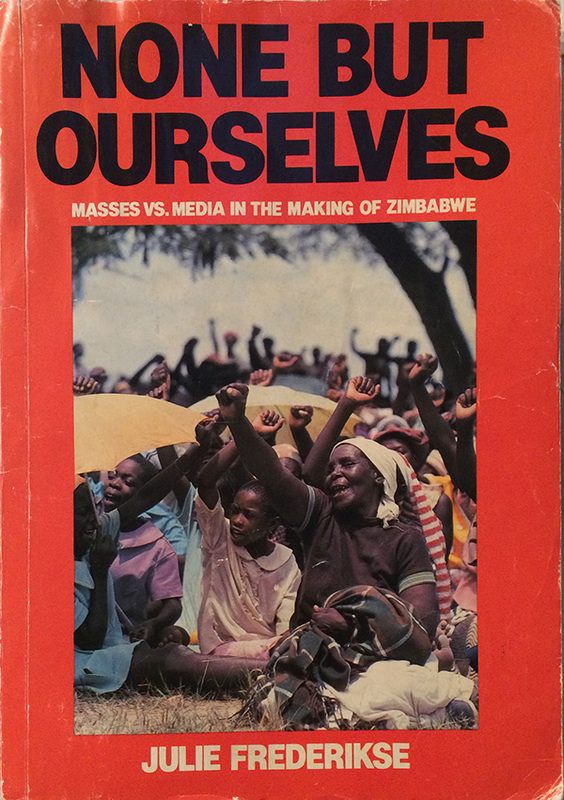 Overall the ZPH cover reads like a labor poster, something that could have come out of the anti-apartheid struggle in South Africa around the exact same time this edition was published, 1984. Although much cruder than the AWS version, I could see how it would be much more effective in speaking to a Zimbabwean audience, fresh on the heels of their own revolution, and watching the struggles in South Africa very closely. 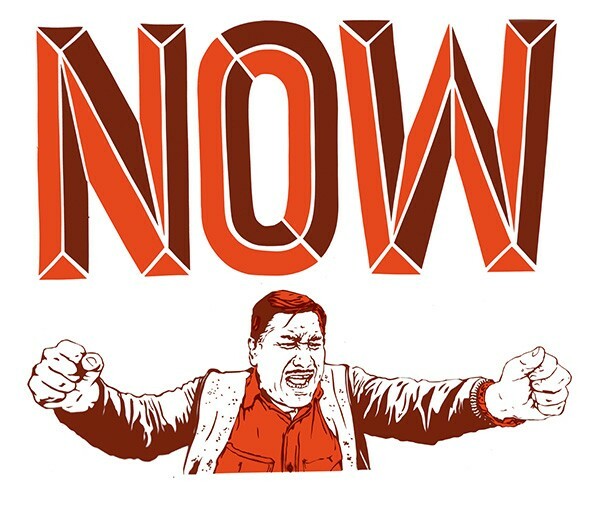 Intentional or not, this design makes a novel about a 1940s strike appear prescient for 1980s Southern Africa. These two are much newer, and thus later in the series (#43 and #44). 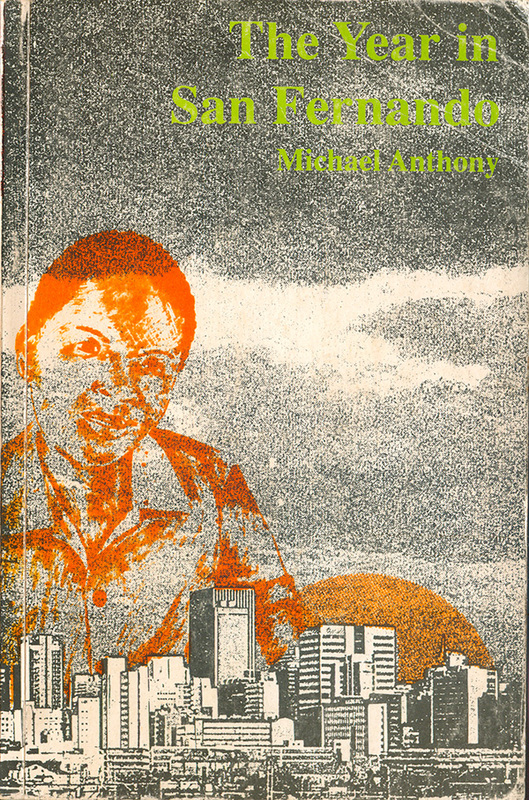 Michael Anthony’s The Year in San Fernando is the only novel I know of put out by ZPH that was written by a non-African, Anthony is from Trinidad. 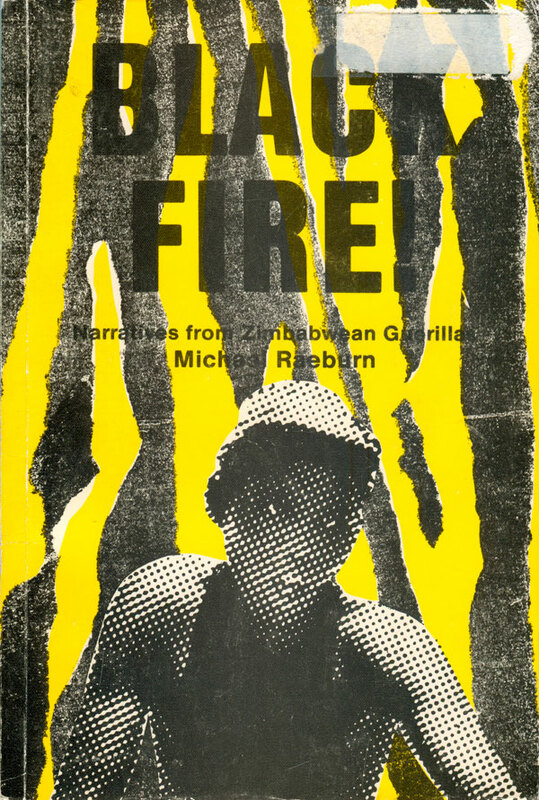 This book was originally published by Hienemann in their Caribbean Writers Series in 1970, then reprinted here in 1992. The cover is interesting, an orange man and sun overprinted on a city scape, obviously generated and manipulated on a photocopier. The green used for the title is an odd choice, and makes it hard to read, something which plagues other ZPH books, too (like Black Fire and Waiting for the Rain, above). Taban Lo-Liyong is an East African poet who has put out over a half dozen collections, many published in the AWS. 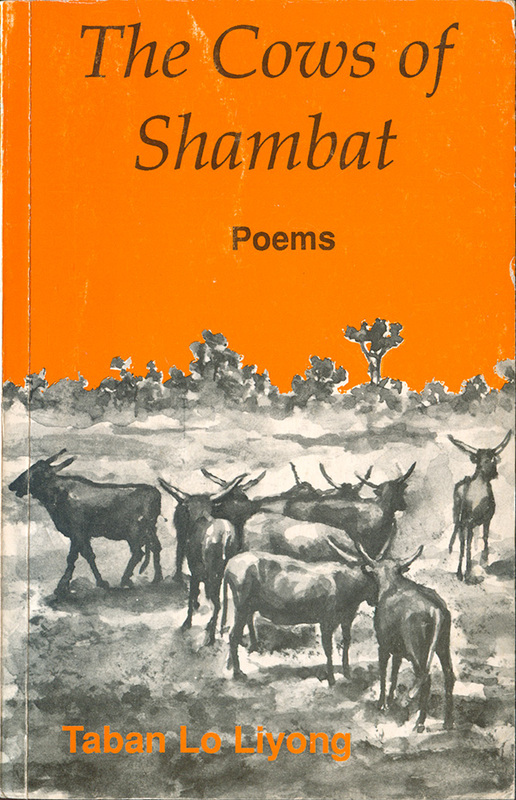 The Cows of Shambat appears to be an original from ZPH, first published in 1992. One of the things that made the original AWS series design so powerful was that they stuck hard and past to a singular design (especially on the spine) for the first 270 titles. 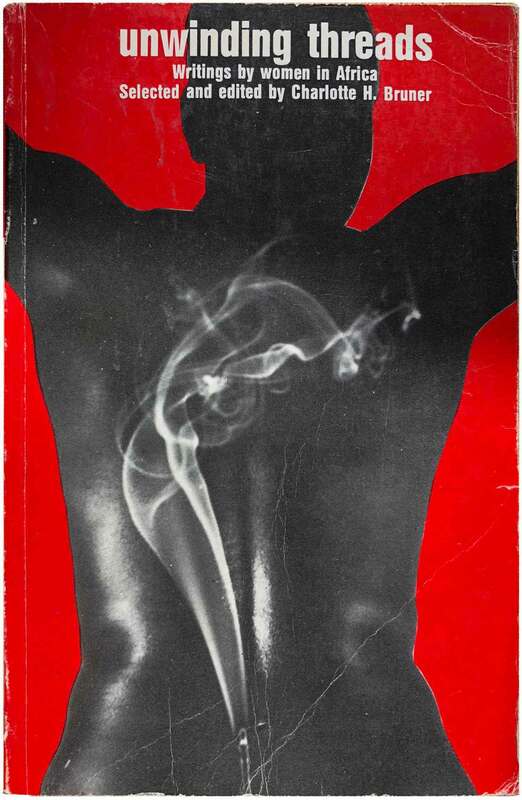 For novels, the dominant color on the cover would be orange, with a spine that was white, with an orange tab at the top that contained the authors name. For poems, the same but brown; for plays, green, and for non-fiction, blue. This color-coding was strick, and although there is some slight color-variations within the blue or brown, this disciplined system was in use for twenty years. As you can see from the spines below, ZPH was much less disciplined! The convention of the white spine and colored tab for top quarter (or third…) is used, but the colors are all over the place. 16. Charles Mungoshi, Kunyara Hakui Kutaura? Thank you for writing this piece – it’s so good to see that there are others out there who share my passion for the AWS paperbacks and others from that era. 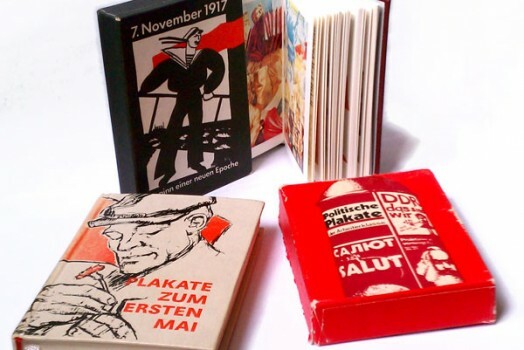 I wish they still designed books this way. My collection started with Elechi Amadi’s “The Slave” which I acquired back in 2009 at a used book shop. Since then I’ve continued adding to my collection and discovered so many lesser-known authors, some of whom have become absolute favorites of mine – including Alex La Guma. But once again I have to reiterate that the books themselves are gorgeous and it’s such a thrill to find them at bookstores/sales. Thanks Richard! I love reading, and hunting for, these books as well. I’m planning on doing a series of AWS posts in the future, just need to clear some other things off my plate first. 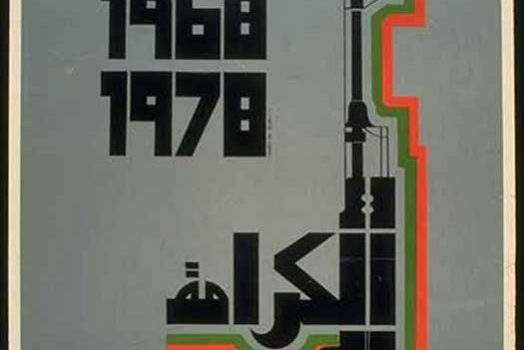 Palestine Poster Archive reaches 2,100 posters!